Many of my clients are located between Virginia and Maine, so I feel just terrible seeing what these poor folks are going through. I once lost power for a week after a terrible wind storm. It's lousy. Toss in property damage, and ... well, geez. You could see the storm coming for many days prior to arrival. I like to visit a website hosted by NOAA (click here) ... one can review the same computer simulations that meteorologists review. The models locked in on a solution 3-5 days before Sandy roared into New Jersey. This level of accuracy wasn't possible several years ago. I mean, storms simply don't rush up the Gulf Stream and then turn to the northwest. The simulations used by NOAA identified the unusual combination of events that would cause the crazy weather pattern days later. We need comparable tools in marketing, don't we? Wouldn't you like to see a simulation of what will happen in 3-5 years (instead of 3-5 days in weather forecasting) as mobile/social evolve and change? How would you respond if you knew that a major storm (mobile) was coming, and it was likely to fundamentally alter 20% to 40% of your business? We keep hearing about the promise of big data. What we really need are big simulations. As we learned with Sandy, it's really important to know that a highly unusual situation is bearing down on us. To my knowledge, this type of forecasting tool doesn't exist. You may not have been at Email Evolved 2012 in Stockholm last week. If you weren't there, take a peek at a half hour of inspired email marketing commentary from yours truly! The folks at Apsis put on a very credible conference, kudos to them. Stop Marketing To Seasonal Buyers! Recently, we talked about customers who return a lot of merchandise. Stop mailing them!! If you agree with that premise, then take a look at customers who predominantly purchase during the Holiday Season, as an example. Once a customer purchases for the third time, habits set in. If the customer purchased during the Holiday Season during 2009, 2010, and 2011, then take a careful look at what the customer does from mid-January to mid-September in 2012. Run a profit and loss statement for this eight month period of time. If the profit and loss statement doesn't look favorable, stop marketing to seasonal buyers ... except for the season when the customer purchases! 10% Pre-Tax Profit Absent of Customer Loyalty? One of the strangest meetings I had was at Shop.org in 2011. I met with a business owner. He owned a half-dozen small businesses, each with annual sales of about $3,000,000. Each business generated 10% pre-tax profit. In other words, this 30ish year old man was very wealthy. His entire business model was predicated on search. Only 20% of last year's customers purchased again this year, and he couldn't have cared less that his repurchase rate was really, really low. Here's what he cared about ... he cared about when a business hit a plateau. This told him that the business was "mature", and it was time to create a new business based on search. This is why he ran a half-dozen businesses ... as one business stalled, he started new ones to replace the old one ... not always succeeding, sometimes winning big-time. I know, this isn't how you run a business. I know, this isn't how loyalty experts tell you to behave. We'll take the newly-minted search buyer, and we'll force all sorts of marketing pabulum upon the customer, all in the effort to encourage the customer to become "loyal". Then we struggle to produce a business that generates 10% pre-tax profit. Meanwhile, this guy is taking home 10% pre-tax profit a year, and he couldn't care less if his customers ever buy again. This issue comes up, from time to time. Look at the profit and loss statement below. The profit and loss statement does not include fixed costs. Now, you call yourself a "cataloger", right? And you're still generating 64% of your net sales from your catalog. But you're generating 42% of your profit from your catalog. Now, what percentage of your work day is spent thinking about the catalog. What percentage of your work day should you be spending thinking about the catalog? We have a disconnect. We need to re-wire all of our employees to think differently about how we generate profit. Our future efforts need to be aligned with the activities that generate profit. But The New Channel Adds New Customers, Right? One of the arguments you'll hear in the omnichannel world is that all of these micro-channels deliver new customers, they open up new markets for your business. Yesterday, we talked about the impact of a new channel on existing, comparably equal customers. You can just hear the cheers of the mobile team ... "we're winning, mobile is the future"! And they are right, they are winning, and their channel "is" the future. ... the business is actually experiencing new customer growth that is slowing, right? This table clearly shows that "channel shift" is happening. Yes, customer acquisition is improving with each quarter, but the rate of improvement is the same today as it was almost three years ago, when mobile barely mattered. Maybe your business is different, that's fine ... at least you can run the query, and quantify that your business truly is different. One of the biggest lies perpetrated on gullible marketers is that multiple channels lead to increased sales. Here's how the logic works. A channel used to produce $10,000,000 sales. A new channel is added, producing $2,000,000 in sales. The existing channel now produces $8,200,000 in sales. Total sales are now at $10,200,000. Somebody queries the database, and realizes that customers who purchase from the old channel and the new channel spend six times as much as everybody else. Somebody then decides that multiple channels lead to huge sales increases. Incremental sales are sales that happen, above and beyond the norm. In other words, customers have a baseline spend level. Your job, as a marketer, is not to take credit for the baseline, but to grow sales above and beyond the baseline. Here's a quiz for you. In the example above, what is the incremental value of the new channel? Of course, the answer is (2). The new channel didn't accomplish much. Customers switched channels, but customers did not spend much more revenue, did they? Now, I get it ... somebody is going to say that if you don't capitalize on the new channel, you'll lose market share. But please, be honest. How many companies didn't set up websites? I mean, everybody eventually takes advantage of new channels. So that's not the issue, is it? The issue is to find strategies that cause customers to spend incrementally more money. Hint: It's hard to get a customer to spend incrementally more money. Really, REALLY hard! If it were easy, we'd all be doing it, and all of our sales would be increasing 35% per year, every year. Give this a read (click here please). How can you not think about Judy, Jennifer, and Jasmine after reading this? Does this article cause you to think about your business differently? Attribution, or "matchback" as it is sometimes called, is one of the most controversial topics in marketing. It's the process of giving credit to marketing activities that theoretically caused an order to happen. Customer receives a catalog on October 1. Customer receives email campaign on October 2. Customer receives email campaign on October 4. Customer visits site on October 5 via paid search, branded term. Customer visits your mobile website on an iPad on October 6 via affiliate website, purchases item featured in October 1 catalog, uses free shipping promo code from affiliate website. I received numerous responses. I want you to read each response. Look at the diversity of thought. Look at the inconsistency across experts. Nearly every person has a different philosophy, a different point of view. Some provide solutions. Some ask questions. No answer is right or wrong. Many answers are in direct opposition of each other. If you have traditional direct mail or catalogs, you already know the answer, because you execute mail/holdout tests, so you already know the impact of step one above. If you are an email marketer, you already know the answer, because you execute mail/holdout tests, so you already know the impact of step two and step three above. If you are a search marketer, you already know the answer, because you have extensively tested branded and non-branded spending levels, so you know the impact of your search budget on step four above. If you've followed this blog for the past 6+ years, then you know of the importance of calculating the "organic percentage", the percentage of demand not impacted by marketing. You already know that it is important to subtract all of the "organic" demand from the story above before starting the attribution discussion. Many experts would look at the four points I just made, and laugh at me! I include this post in the "Dear Catalog CEOs" series, because I want to elevate the discussion. We will not solve the attribution problem with measurement-guru discussion. We need Executive leadership. Executives need to see the diversity of thought, and to provide a point of view. Executives need to provide direction, and not simply trust the next vendor-based black-box solution. With that in mind, here are the responses I received, unedited. Discuss. Kelly Lorenz: Is the item only featured in the catalog? I ask because many marketers put out a catalog and then promote the items via email to extend the life of the promotion and ensure several touch points. My thought is that each touch point caused an impact - especially since it was over a short period of time. The three push efforts (catalog, 2 emails) caused the brand to be top of mind. The customer is then thinking about the items and does a search based on the brand because they remembered that the brand sells those things they are thinking about. After visiting the site on October 5, they probably did some more research to see if there was a better price or version of the item elsewhere, perhaps slept on it then decided to buy once they found the best possible price via an affiliate. The affiliate site should get the least attribution in my opinion based on this line of thinking, but it's really hard to draw this scenario out for every purchase! Peter O'Neill: Did the customer open the catalog or either email? Did they even notice the name of the company? No data on either question. Were they prompted to search for the company due to the catalog or emails? Or was it due to wanting a replacement for a previous item? Or due to their neighbour recommending the brand? Again no data. Plus if they didn't log in, no visibility of the visit from that customer. Any indication of the reason they accessed the affiliate website or why they chose to click through to this company? Any indication it was due to the catalog, emails, previous visit, affiliate offer or any other reason? Still no data on any of this. Was it an impulse or considered purchase? If you asked the customer why they purchased that product from that company, would they be able to attribute this to one or more marketing efforts? If they were able to, would they have correctly interpreted their subconsious? These missing data points suggest using technology to do true attribution is impossible. You can get many different answers but would any of them be accurate? More importantly, would any allow you to optimise your marketing spend in the future (am sure could improve but optimise)? Instead, let me ask. What were the business objectives for each marketing campaign? How was success going to be measured against each business objective? What actions will you take based on performance against objectives? Did you run any hold out tests to assist in evaluating the impact of the catalog or emails? I think these questions are more important than trying to rely on incomplete data to guess what influenced a previous purchase. The answers will allow you to change your future marketing mix/spend to improve business performance & ROI. What 5 is telling you is that there is a value-added benefit of using affiliates and that customers (this specific customer to be exact, hence why I suggest avoiding single scenarios) are price sensitive. You can then test different value offers with your affiliates. In terms of attribution, I think the catalog has to be considered the driver assuming that the item wasn't featured in the emails. The emails likely reminded the consumer of your brand and that item. The affiliate site likely came from a brand search (if I had to guess). Affiliates are good at getting a price-sensitive customer to pull the trigger, especially if the customer feels like they are getting a special deal. In terms of attribution, the key is being able to create a reasonable attribution scheme that can measure a million customer actions and drive intelligence. I don't think we're technologically there. It matters whether one customer follows the path above, or 10,000 customers follow it. If you have large numbers of customers looking on affiliate sites for free shipping offers, it may be time to simply offer free shipping. If you have a handful, the right strategy is to use the affiliates to give away free PAH to price-sensitive consumers and keep charging everyone else. Oh, and I'm betting this is Jennifer. David P. Himes: I attribute the order to the affiliate web site with free shipping promo. Of course all of the other pieces are factors. However, a major part of direct marketing is overcoming inertia. There are lots of things I see advertised, that I say, "I'd like to have that". So the issue is not just creating demand, but overcoming the inertia of not doing anything. It's easier for a customer not to do anything ... it takes less effort and costs less. So, in this example, it's the free shipping offer from the affiliate web site that overcame the inertia and generated an order. There is not evidence, from the data provided, that an order would have been placed in the absence of the free shipping offer. Doug First: Good question Kevin! I'm inclined to agree with David - attribute the order 100% to the affiliate, since it was the 'last touch' that triggered the order. Shopping behavior is an extremely complex and variable process. Modeling it (attributing demand) is always imperfect. 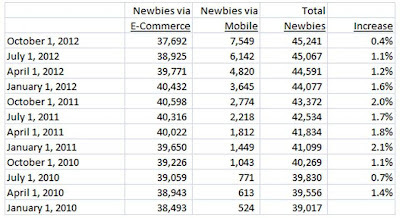 You could easily have added other (possibly important) influencers (Pinterest, TV, Retail, etc.) to your scenario. But, the point of sale is really the moment of truth where the shopper has developed enough trust in the retailer/channel/offer to part with their hard earned cash. Your implied question is ‘where do I best spend my ad money?’ Hold-out tests (as you’ve preached) are really the best way to find the incremental demand generated by each contact/media. Since testing is expensive – I’d start with the most costly elements in your marketing plan (probably catalog). Of course I'd also question the effectiveness of my affiliate offers if customers made up a significant portion of affiliate sales. Ryan Green: FIRST thought is that this user is crossing devices. In most of the basic attribution models they only look at a cookie that is tied to a user’s browsing habits (one device). If you are using some of the advanced models then you can stitch the two cookies to one Visitor. In this instance you will have 2 different cookies for this ONE person…so be sure your tracking logic is in place! Next is that you will need to bring in some of the offline data such as the Catalog information. If these are for known customers you might be able to stich some of this data to the cookies…which is always great to tie online to offline! There are some Unified Customer Processes (“UCP”) that are great for this in attribution models. Next, is do you want to track View through credit? Meaning for the steps 2 & 3 in the string above…what if those users only open and don’t click? Do you still want to associate credit to that Email Open? The same applies to banners…do you want to see view throughs or only click throughs? They require some integrations but it is definitely doable! After you have your tracking in place to analyze the stream above…then you can get into the analysis. I like to look at things using Even or a Starter(30% credit)/Player(30% credit)/Closer(40% credit) weighted model. I think for this example you will need to create some specific logic in your attribution. For example if it is a sale of a computer…specify that the marketing touches that get credit should have attributes of computer advertising. It’s a lot easier said than done but there can be conditional logic you can build to achieve that level of granularity. That way you could ignore some marketing tactics that were for something completely irrelevant. Gliebers Dresses is a fictional story about a catalog company struggling to keep up with changes in the marketplace. If business fiction is not your thing, then please move along, there's nothing to see here. If you need a diversion on a nondescript Friday, enjoy! Glenn Glieber (President, CEO): Good morning everybody. I'm certain all of you have many interesting topics to bring up today, so let's just get started. Roger, you wanted to go first. Roger Morgan (Chief Operating Officer): In my left hand, I am holding a $495 report from Woodside Research, titled "The App Economy". I don't think I have to tell you, folks, that this report represents our future. Pepper Morgan Pressley (Chief Marketing Officer): Here we go again. Roger Morgan: You see, in the future, everybody is going to be doing everything via apps. Want a taxi cab? You'll contact @uber via an app. Want to listen to music? You'll fire up Pandora on your Nexus 7, or on your internet enabled car stereo. And if you want to buy a dress? Meredith Thompson (Chief Merchandising Officer): You'll flip through our catalog? Roger Morgan: No. Wait. What? No! You'll access the Gliebers Dresses app. Meredith Thompson: That's what I will do? A woman past sixty years old? I'll just fire up the Gliebers Dresses app? Roger Morgan: I paid Woodside Research $495, why would they mislead us? Yes, you will fire up the Gliebers Dresses app. Lois Gladstone (Chief Fiancial Officer): I don't want to listen to Pandora. I like listening to WFNQ. Sure, the signal is a little fuzzy when we drive through the rolling hills of New Hampshire, but that's the station I have listened to for years. They play the greatest hits of the 80s, 90s, and today. Roger Morgan: I think you should create custom playlists on Pandora. It's better than the 80s, 90s, and today. It's a app that tailors music to your individual tastes. Lois Gladstone: Can I listen to Gomer and Gabby on Pandora? They do the morning show on WFNQ. They're funny. Gabby really zings Gomer. Roger Morgan: You'll probably listen to their podcast on another app. You'll time shift, you'll listen to their show when it is convenient to you. Lois Gladstone: Why would I do that when I can just listen to Gomer and Gabby live on WFNQ? Roger Morgan: We're getting off-topic a bit. Woodside Research says that we need an app. Oh, and they are suggesting that our existing business model is dead. Meredith Thompson: Our business model of selling dresses to women is dead? Roger Morgan: No, our business model of selling via e-commerce is dead. Meredith Thompson: We are a cataloger, Roger. Roger Morgan: Catalogs have been dead for a decade. Woodside Research is now saying that e-commerce is also dead. Pepper Morgan: Tell that to Amazon. Meredith Thompson: But according to our matchback reporting, 70% of our sales are caused by catalogs. How can it be that our business model is dead? Roger Morgan: Look, we can quibble over percentages for hours, or we can listen to the advice of experts. The point is, we need an app, now, or we're in big trouble. Meredith Thompson: What is a Nexus 7? Roger Morgan: It's a tablet, running Android 4.1. You download apps from Google Play. Games. Music. There's even a Kindle app. All in the palm of your hand. Lois Gladstone: Why do I need Nexus 7 with a Kindle app when I can just buy a Kindle? Meredith Thompson: Why do I need a tablet when I have internet access on my desktop computer at home? Lois Gladstone: Or why even buy a Kindle when you can just purchase a book? Roger Morgan: You're all missing the point. The kids are using mobile devices everywhere, and we need an app to connect with the kids. Meredith Thompson: My customer is sixty years old, Roger. Roger Morgan: Why are all of you fighting me on this? Pepper Morgan Pressley: We're not fighting you, Roger, though nearly everybody in here wants to unleash an open hand across your partially shaven face from time to time. We're just sick and tired of the pundits at Woodside Research telling everybody what to do. Pepper Morgan Pressley: Yes. They told us that podcasts were the future. Remember that nonsense? Brands lacking the ability to produce authentic podcasts were destined for the scrapheap? Remember when they told us that CEOs would be blogging every day, and customers would be so enthralled with this level of authenticity that they would open their wallets in approval? What about widgets? We had to have a widget, or we were behind the curve. Or F-commerce? We were told that our e-commerce site wouldn't have any traffic by 2011 because Facebook commerce would thoroughly consume e-commerce. Then it was mobile, remember that one? 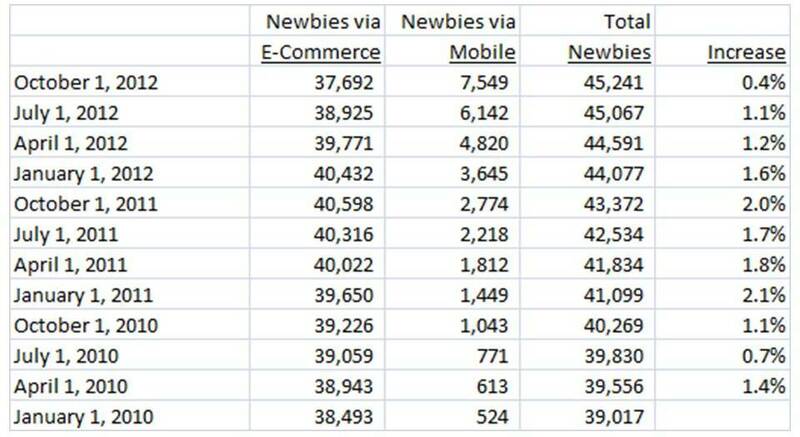 We had to have a mobile website by Holiday 2010 or we'd be out of business by the start of 2011. Now a mobile website is useless unless we have apps built on top of the mobile experience. Where does it end, Roger? Roger Morgan: It doesn't end. This is part of our omnichannel future. These things all work together. The sum is greater than the individual parts. When they all work together, it's a lot like free marketing. Meredith Thompson: They don't work together. This is a myth. My customer is not listening to podcasts. She doesn't use widgets. She doesn't care if Glenn Glieber writes a blog. She's on Facebook to see pictures of her grandchildren. She doesn't understand why anybody would communicate using only 140 characters on Twitter when they can use email. She barely uses more than eleven text messages a month. She'd rather have in-person relationships than digital relationships. Roger Morgan: Is anybody listening to me? Lois Gladstone: Yes, you're telling me that I can't listen to Gomer and Gabby in the morning the way I want to. You're telling me that I have to do everything your way in the future. I just want to push preset number three in my car. It's easy. I don't want to give a thumbs-up or thumbs-down on every song on Pandora, trying to teach a computer to learn how to like me. Enough is enough. Roger Morgan: Feldman, help me out. Dr. Gene Feldman (Vice President of Global Brand Direction): In Back to the Future, Part II, we're presented with a world where cars travel in the sky. Hoverboards replaced skateboards, though as we learned, you can't take a hoverboard over water, because you have no power! Some things remained the same. Greed, money, and power were as common in the eighties as they were in the future. But some things never came to fruition. We don't convert garbage to gasoline do we? Amazingly, a third of the world is starving, but we choose not to feed people. Instead, we chose to convert corn into gasoline. You couldn't possibly have seen that one coming. And while we're at it, the movie promised us clothes that auto-fit the dimensions of the person wearing merchandise. Why can't we do that? Why can't we create a dress that is flattering no matter the body shape of the person wearing it? Dr. Gene Feldman: I'm talking about the future. Nobody knows what the heck is going to happen in the future. We only know that things won't be like they are today. Roger Morgan: Woodside Research knows what is going to happen in the future. Dr. Gene Feldman: We predict what we think we might like, then we extrapolate, and soon enough, we're operating in a world of science fiction. Watch Back to the Future, Part II today, and you'll laugh at how wrong they were. But when they made the move in the late 1980s, their assumptions were highly plausible. Same thing with Roger. He's extrapolating. To him, the assumptions are highly plausible. But in a few years, what he is saying today will be ridiculous. Roger Morgan: I thought you were on my side, Feldman? Dr. Gene Feldman: I am on your side. We absolutely create our own version of the future. I wanted Colbie Calliat to perform in a television commercial. Chicos heard about it, and created something almost identical to my original concept. Would they have done that if I hadn't said it first? Unlikely. Every person makes an assumption about the future, then takes a baby step. And when billions of people all make different baby steps, it impacts the next baby step we take. Eight baby steps later, we're going down a different path than the one we imagined when we took the first baby step. We were influenced by all of the other baby steps! We can imagine the future. But each of us imagines a different future, and our imaginations cause each different version of the future to change, unpredictably. Roger Morgan: Who are you, Oprah? Is this Super Soul Sunday? Dr. Gene Feldman: You can do a lot worse than Oprah. Pepper Morgan Pressley: We just spent an hour to prove, once again, that Roger will always be wrong. Roger Morgan: Look, you lemonheads can keep creating catalog spreads that speak to a sixty year old shopper that, soon enough, will care more about Social Security than online security. Or you can start taking the baby steps that Feldman talked about. Now who's with me? Meredith Thompson: That reminds me, I need to leave. I have a meeting where we'll talk about whether the May catalog will have 64 or 68 pages. This is an important meeting. Our inventory folks are really concerned about forecasting demand in a 68 page catalog. But I think the additional four pages will really make a splash in the mailbox. Lois Gladstone: We should talk about the circulation depth, then. If we're adding four pages, we'll need to trim circulation to stay within budget. Pepper Morgan Pressley: I don't think we want to cut new customer acquisition circ. I'll talk to the co-ops about the new models they are proposing, we'll see if they can squeeze out the same number of new customers on a circ reduction. Roger Morgan: Apps, folks. We were talking about the App Economy. Glenn Glieber: Well, it's been an inspiring hour, hasn't it? By the way, does anybody have a VHS tape of Back to the Future, Part II? I'd like to pop that thing into my VCR tonight. Do You Have A Problem Looking For A Solution? Do you have a marketing/investment/analytics problem that you're looking to solve, but you don't know where to turn? Either send me an email (click here please), or leave a comment. Describe the problem you're looking to solve. If I get a dozen or so responses, I'll post them tomorrow. Maybe we can have a discussion about the issues, huh? Describe the thought process you go through to make your attribution guess. This is really what I am looking for --- your thought process. So please provide that to our readers in the comments section, thanks. If you're a good CEO / VP, you're about ready to set up goals and objectives for your staff for 2013. This means you have to set up the bonus structure for your team. I tried to have between three and five goals for people who reported to me. The goals had to be simple, and needed to be tied to the dynamics that cause the business to be successful. Objective #1 (40%): Increase new customer acquisition counts by 20% vs. 2012. 2012 Forecast = 50,000 new customers. Exceeds Goal = 65,000 or more new customers. Meets Goal = 55,000 to 64,999 new customers. Missed Expectations = 0 to 54,999 new customers. 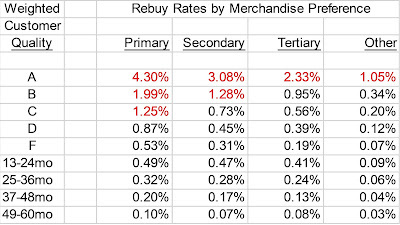 Objective #2 (30%): Increase twelve month buyer repurchase rate from 40% to 42%. 2012 Forecast = 40% of 2011 buyers purchased again in 2012. Exceeds Goal = 43% annual repurchase rate in 2013. Meets Goal = 40% to 42.9% annual repurchase rate in 2013. Missed Expectations = < 40% annual repurchase rate in 2013. Objective #3 (30%): Increase profitability of all marketing activities, from $5,000,000 in 2012 to $5,500,000 in 2013. 2012 Forecast = $5,000,000 profit in 2012 from marketing activities. Exceeds Goal = $6,000,000 profit in 2013 from marketing activities. Meets Goal = $5,000,000 to $5,999,999 profit in 2013 from marketing activities. Missed Expectations = < $5,000,000 profit in 2013 from marketing activities. Notice that the objectives are highly dependent on teams not reporting to marketing. If merchandise stinks, well, the marketing Director is not going to meet goals. And that's the way it should be. Because, quite honestly, the merchant isn't going to meet goals if the marketer fails, right? So there's cross-dependence. The marketing Director needs to step up and take accountability, for all activities. If the merchandising team is struggling, then the marketing Director needs to analyze a few issues and try to partner on solutions. Notice that if the marketing Director outperforms last year, the marketing Director meets expectations. That's life. In sports, there is a saying ... "if you're not moving forward, you're standing still". Same thing in marketing. You must move forward, or inflation will eat company profit. I want my team to strive for outstanding results. In each case, if we match 2012 results, we miss expectations, and bonuses are not going to be plentiful. Conversely, if my marketing team has outstanding performance, well, they get an outstanding, rewarding bonus! Notice that I do not tell my team HOW to do anything. I tell my team WHAT outcome they should strive toward. It is the job of the e-commerce Director and catalog Director to figure out what to do and to figure out how to get there. I am only telling my team what we need to accomplish. The marketing VP should not micro-manage online conversion rates, catalog response rates, or email click-through rates. Notice that I am communicating the objectives in October 2012. This gives the team a head start on making progress on 2013. When I worked at Nordstrom, it was awful to get objectives for the year in February or March ... anything I could do would only impact Q3 or Q4, I missed out on half a year of opportunity. Don't be lazy. Set objectives well ahead of 2013, communicate them, and give your team a chance to succeed. Notice that the objectives only focus on new customers, annual repurchase rates, and profitability of marketing activities. Quite honestly, from a marketing perspective, these are the only three things that matter. Almost every marketing activity we can think of falls into one of these three categories. Increase average order value? That grows profit, right? Maximize SEO opportunities via non-branded keywords? That grows new customers and profit. Improve email click-through rates? That grows customer retention/repurchase rates, and grows profit. Every marketing activity you can think of ties into one of these three objectives. Notice that the weights are not equal. I am clearly signalling to my staff that new customer acquisition is most important. Now, if you spend too much on new customer acquisition, profit will be hurt, so this has to be managed delicately. It is likely that you value one objective more than another, so give it an appropriate weight to reflect what is important to you. Notice that I put a 2012 forecast in each objective, even though we have three months left in the year. I will adjust each objective once final numbers are known. Notice that channels are irrelevant. I don't care if a customer is acquired via search, or via email, or via catalogs, or via social media, or via mobile, or via display, or via affiliates, or via comparison shopping engines, or via billboards. I care about customers, and I care about how profitably we manage customers. My staff will need to analyze the customers that have the lowest cost per acquisition and highest lifetime value, and they will need to manage this balance in order to achieve each of the three objectives. Again, I am not telling my team HOW to do their job. I am only telling them WHAT the outcome needs to look like. Executives - please give your team a chance to have a great 2013. Give them three simple objectives, create stretch goals, and then richly reward your team via bonuses when they exceed expectations! Customers share information in different ways. Think about Judy, the 59 year old catalog veteran. She shared by passing her catalog to a friend. Remember, back in the day, when you allocated passaround to existing segments? Something like 10% to 15% of demand was uncoded, added back to existing segments. I'm not talking about 2012 analysis aided by matchbacks, FYI ... I'm talking about 1994, when pre-internet attribution was easy. We knew that 10% to 15% of demand came from customers sharing our catalogs with each other. Judy mastered the art of "analog sharing". Think about Jennifer, the 43 year old online maven. Her habits were formed in the 1995-2005 timeframe (when she was 26-36 years old). Digital sharing was more difficult than today ... email + search + instant messaging, for instance. Yes, there were social networks blah blah blah, but sharing was hard, causing Jennifer to have to "search". Google was the tool Jennifer used for discovery, Google facilitated the first generation of digital sharing. Digital sharing changed with Jasmine, the 27 year old shopper who likely will determine the future. Via a veritable plethora of social networks, Jasmine closely follows sharing practices embraced by Judy. Now, the technologies used to share are very different ... Judy via catalog passaround, Jasmine via Facebook, Twitter and others (analog vs. digital). Judy created a physical scrapbook, Jasmine creates via Pinterest (and yes, I get it, there are folks like Judy using Pinterest, but you miss the point if you call out the twenty-eight exceptions). The behaviors are, honestly, very similar ... the methods of sharing couldn't be more opposite. Back to you, the Executive reading this blog. We've gone from making things shareable via paper, to making things shareable via Google, to making things shareable via social media. In part, we pick and choose who our customers will be based on our choice of sharing mechanism. Knowing that old-school sharing accounted for 10% to 15% of total annual sales, maybe we now have a starting point for thinking about what the impact of social media might actually be, among Jasmine's generation? Lost in our zeal to be "multi-channel" or "omni-channel" or whatever the latest term is for the vendor community to encourage us to spend a fortune chasing customers all over the internet is one important word ... "merchandise". Yup, this is the stuff we sell customers. Contrary to popular belief, it's the reason why customers buy from us. One of the most important concepts in the world of merchandise is "carryover product". It is product that performed well last year, so well that your merchandising team decided to "carry over" the product to next year. I like to rank-order last year's product from best selling (total sales) to worst selling. Within that framework, I find the inflection point where 95% of products are "carried over" for the next year. This point is the "carryover number". When evaluating the success of new products, I look at the percentage of new products that achieve the "carryover number". In businesses that are growing, the carryover number changes from year to year - it increases in volume as the business grows. The carryover number also helps identify when your merchandising team is behaving inconsistently. 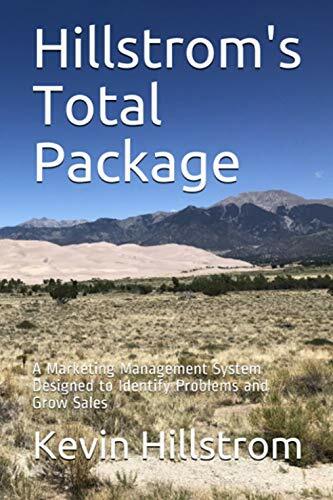 For instance, if sales are constant but the carryover number changes by +/- 25% by year, your merchandising team is behaving in an inconsistent manner --- identify why this behavior is happening, there may be a good reason for it. Carryover product is very important in merchandise analysis. The carryover number represents an important metric in analyzing merchandise performance. Let's continue our discussion today, with Jasmine as our subject. Merchandise: Remember, Jasmine knows nothing of the economy of 1993 - 2007 that shaped Jennifer and benefited Judy. Jasmine doesn't have money. And yet, Jasmine is going to exhibit wild swings. She'll pay $800 for an iPad, but she won't pay $0.80 for an app. This will lead Jasmine-based marketers to solutions that "scale" ... you either find 1 customer that generates $400 of gross margin, or you find 1,000 customers that generate $0.40 of gross margin. Jasmine's economy is going to be one of extremes ... low prices and low margins, or a few high priced winners. Success in her economy is nearly opposite of success in Judy's economy, where you simply asked a co-op for 5,000,000 names a year at $0.06 each. Creative: This function will be reinvented in a Jasmine-focused businesses. Social won't be a "channel", it will be a feature built into every part of the Creative process. I think it is highly unlikely that Judy/Jennifer focused marketers will be able to lead this process, I believe this will come from Jasmine-aged employees. Finance: Finance Executives will be required to have "faith". The business model is essentially opposite of the predictable "Judy-catalog-focused" business model that Finance folks are used to. Jasmine-based Finance may require making many bets, hoping that 1-2 of 10 bets hit big. More uncertainty, more pressure, more risk ... at least in the next 5-10 years as the app-based economy shakes out. Service: Jasmine is going to expect everything to be perfect. She's used to a thousand apps that work seamlessly with her iPad or iPhone, and cost virtually nothing, so she's not going to tolerate $14.95 for eight-day shipping and handling. And if she grumbles about something on Instagram or Twitter or Pinterest, she expects a response, now. If Jennifer represented the end of the call center as we knew it, Jasmine represents the reinvention of the modern customer service center. Passion: So many of you tell me that you don't understand Jennifer, so you essentially ignore her. When it comes to Jasmine, you tell me that you understand her, but you don't want to relate to her. I think we'll see the passion of Jasmine's generation overwhelm existing businesses. Jasmine will pick and choose her own winning brands, and the passion of her generation will provide her with her own solutions. Look to employees who are like Jasmine, and harness their energy. Too often, I visit companies that don't value the passion of younger employees. This will need to change, to be successful marketing to Jasmine. Excellence: Jasmine needs a mentor. Jasmine-focused businesses know more about Jasmine-centric tactics than anybody else. They'll need mentors to help guide them through growth and Management issues. With mentors, Excellence is certainly achievable. Vision: I think Vision is easier for Jasmine-focused businesses than for Judy/Jennifer businesses. The Jasmine-focused business just needs to survive the short-term .. the Judy/Jennifer business needs to survive the long-term. Vision will be easy, Evolution will be hard. Evolution: Jennifer-focused businesses are largely web-based, Jasmine-focused businesses will be app-based. Something will come after this, something that Jadyn will embrace (Jadyn is currently 12-18 years old). The Jasmine-focused business will need to evolve as apps evolve, and will also need to potentially embrace whatever it is that Jadyn embraces. Chemistry: You read so much about how Jasmine operates in a team-focused, de-centralized environment. Chemistry is going to be different among Jasmine-focused employees than it is for those who have always dealt with Judy as a customer ... Judy-focused businesses often employ a centralized, command-and-control style of Management. If Jasmine-focused businesses hire Jasmine-aged employees, Chemistry will be different. Time for your thoughts ... how do you see the ten building blocks impacting Judy, Jennifer, and Jasmine?